The Team America Rocketry Challenge (TARC) is the world’s largest student rocket contest and a key piece of the aerospace and defense industry’s strategy to build a stronger U.S. workforce in science, technology, engineering and mathematics (STEM). Sponsored by the Aerospace Industries Association (AIA) and the National Association of Rocketry (NAR), TARC was created in the fall of 2002 as a one-time celebration of the Centennial of Flight, but by popular demand became an annual program. Approximately 5,000 students from across the nation compete in TARC each year. The contest challenges students to design, build and fly a rocket to safely carry a raw egg payload to a specific altitude and back within a certain amount of time. The contest’s rules and scoring parameters change every cycle to challenge the students’ ingenuity and encourage a fresh approach to rocket design. Based on local qualification flights, the top 100 teams are invited to Washington, D.C. in May for the National Finals. Top placing teams split more than $100,000 in cash and scholarships and the overall winning team will travel to Europe to compete in the International Rocketry Challenge taking place at either the Farnborough or Paris Air Show, depending on the year. The contest challenges students to design, build and fly a rocket to safely carry a raw egg payload to a specific altitude and back within a certain amount of time. Teams compete at local & regional challenges to be invited as finalists to the national competition where they compete for more than $100,000 in cash and scholarships. The contest’s rules and scoring parameters change every cycle to challenge the students’ ingenuity and encourage a fresh approach to rocket design. See the contest website for exact scoring criteria for each year. 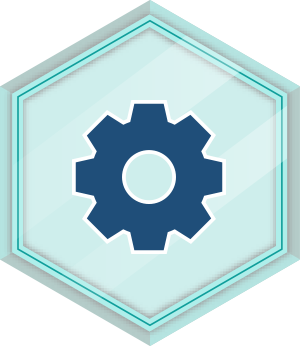 This badge demonstrates expertise in general engineering concepts from any field. 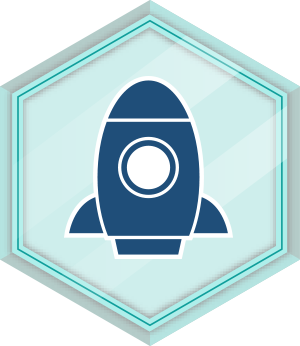 This badge demonstrates expertise in the design, engineering, and operations of rockets of all types.